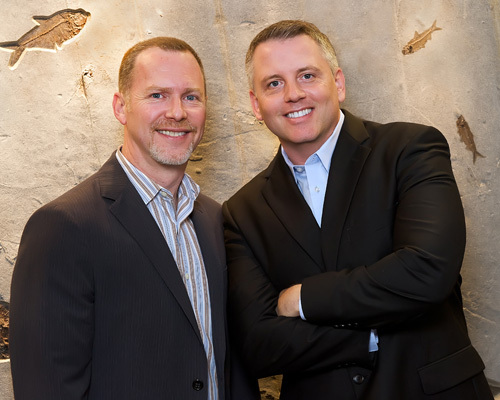 For over 15 years, owners Arron Rimpley and Gregg Whittecar – founders of Eostone – have been dealers in Art and Antiques. Their passion has taken them around the world buying and selling amazing treasures. Beautiful objects are not the driving force behind Arron and Gregg, but fellow collectors and dealers who make their profession interesting and rewarding. Arron and Gregg were designing an art gallery for a collector in New York when they first learned about fossils. They were so impressed by these relics that they immediately booked a trip out west to learn more. The Green River formation in Wyoming has provided the world with the best specimens from the Eocene period – 50 million years old. Not only are the fossils stunning, there is something that draws your curiosity on a profound and deep level. Eostone exhibits at the most prestigious events across the United States. Please visit the “Events Schedule” page to see where Eostone will be displaying these stunning fossils. If you are planning a trip to Miami, please visit the Eostone fossil gallery to see the entire collection on display.